This stunning Sweet Marble collection by local designer Inggrid Hayasidarta draws its inspiration from watercolour feature and would be great for those planning a Watercolour styled ceremony. 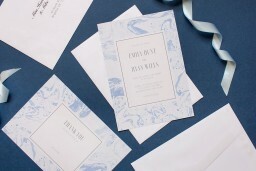 This Engagement Invitations card from the larger Sweet Marble set looks great when printed using digital printing and here at Paperlust we think it looks best on Paperlust Matt. 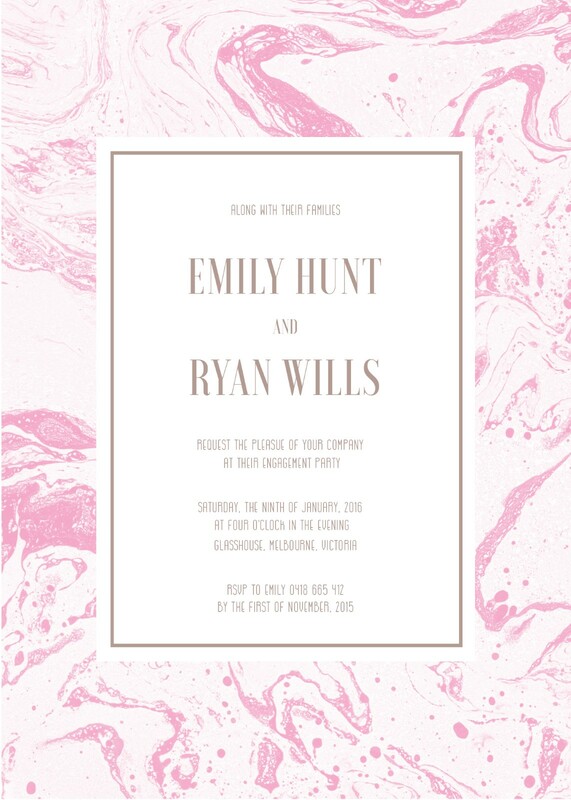 The pastel colours of this card gives a very romantic touch to the card and the script is very elegant.